Another Mueller Report has surfaced…. The report is a Mueller REO Hybrid Appraisal Report and it was given to an appraiser as a sample. This one raises more questions than the last one! The photos from the property inspection do not tell the appraiser one thing. The photos are dark and the repairs the inspector states are needed simply are not seen in the photos. It begs the question, Does the appraiser have adequate information to complete a credible appraisal? Now take a look at the report. Pull up the report and follow along. Somethings have been highlighted. Let us start with the Comments Section on page 1: Under the subheading of ”Reconciliation” is a definition of exposure time and the appraisers opinion of exposure time. Yes, an opinion of exposure time is required, but is this a reconciliation? Moving on to the Reconciliation Addendum: The report states the subject property is under a contract for sale and the contract was not provided. Does this comply with USPAP Standard 2-2 (a) viii? The comment in USPAP specifically states the appraiser is to state the actions taken to obtain the sales contract. Does simply stating it was not provided sufficient for compliance? What about the listing history? Advisory Opinion 24 specifically states the appraiser must analyze and report the findings within the appraisal report. Has this been done? Further down, the statement is made “Comparable 1 backs up to condominiums. A $15,000 view adjustment has been given” Great, except on the sales grid, comparable 1 is stated to have an “adverse residential and industrial view”. Is the adjustment for a condominium view or an industrial view? Anyone see any industrial properties from the ariel photo in the report? “It appears that the typical condition for the subject area is C4, therefore the only repairs needed are painting of the subject”- What the heck does that even mean? The neighborhood is a C4 so we have to paint the subject? If the appraiser did not inspect the neighborhood, how does he or she know? Anyone else notice the amount of times the appraiser used “it appears” in the comments? Does “it appears” instill confidence in the results? Is one matched pairs sufficient for supportable and credible results? Give the appraiser credit for discussing how adjustments were determined. Take a look at the sales grid. Two of the four sales sold above list price. Seller concessions? Commentary? Now the Condition Report included in the appraisal brings up some more questions. For the Neighborhood Section, answering yes or no to a few items? Really? Does this tell anyone about the neighborhood? If this section is for the neighborhood, what does Atypical for the neighborhood mean? Are they referring to the subject? What about the other items in that section? Are commercial properties (shopping centers, grocery stores, etc.) and highway access positives or negatives? Moving on to the Subject Section: Well look at that, the property inspector has given an opinion of the quality and condition of the subject! Was that unnamed inspector a licensed appraiser? What about the Ethics Rule that states an appraiser must not accept an assignment that includes the reporting of predetermined opinions and conclusions? Does this condition report provide adequate information about the subject for an appraiser to produce credible results? Now look at those photos! Are you impressed with the photographer’s skills? Look at the photos of the repairs needed. Does anyone see what needs to be repaired? Did the inspector not like the color of the walls? Where is the damage? Can you really tell much about the subject from those photos? What about the photos and the condition report together? Now the fun can really begin: The Disclosure! Standards 1-3 (b) develop an opinion of highest and best use. Can this be done with an extraordinary assumption? Does the legality of the subject contribute to market value? Will this lead to credible results? Is the intended use stated in the report logical? Does the “inspecting professional that provided the subject information have a name? Was the appraiser able to communicate with him or her to ask for clarity? Additional Information? Does simply typing your name on a web based form satisfy the management of an appraisers signature under the ethics rule? Would you complete this assignment? 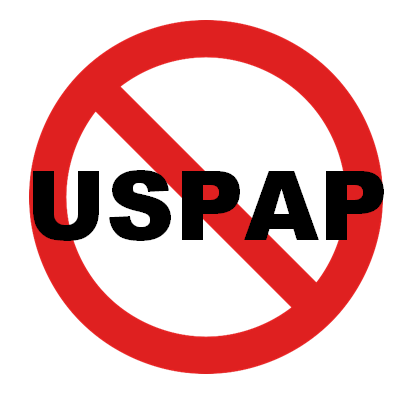 The fourth exposure draft for the proposed 2020-2021 USPAP has been out for a few weeks now. There are lots of things being proposed and comments are due by April 1. It is important for every appraiser to review the proposed changes. If you agree, great. If you do not agree, you have a very limited window to submit your comments / suggestions. The changes will be voted on April 5th at the Appraisal Standards Board Meeting in Kansas City, MO. If you up for a road trip, you can also attend the meeting in person. A live stream of the meeting is also available. Registration in advance is required for attending in person as well as live streaming. See the Exposure Draft here. Thank you being a part of VaCAP! And Mueller’s was caught operating in Virginia without proper licensing! Where are the ethics? Interesting address is shown for the redacted CLIENTs. Apparently, USPAP compliance is no longer a legal requirement for a GSE?